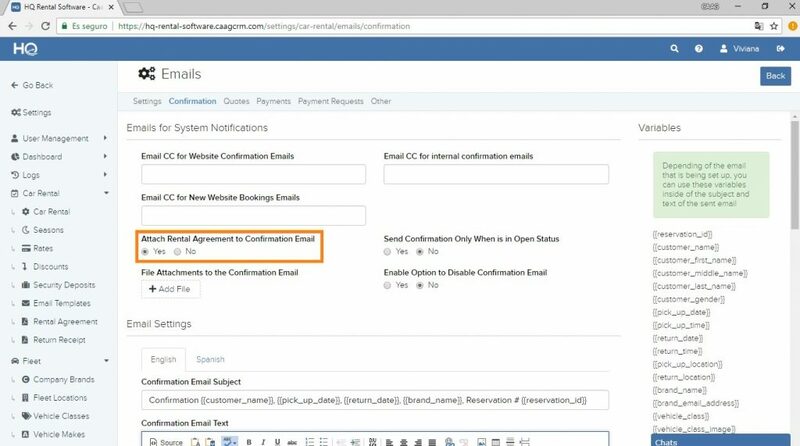 11.6 How to link Rental Agreement to Confirmation Email? 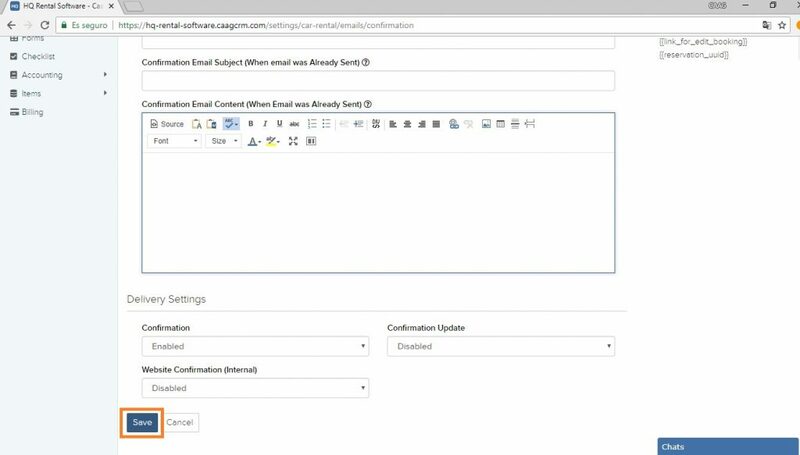 This is a step by step tutorial on how to link your rental agreement so that it automatically attaches to the confirmation email. Navigate to Settings > Car Rental > Emails tab highlighted in dark blue and orange in the picture below. When you click on the email tab, it will redirect you to a new page. Secondly, proceed to the “Confirmation” tab as highlighted in orange in the picture below. 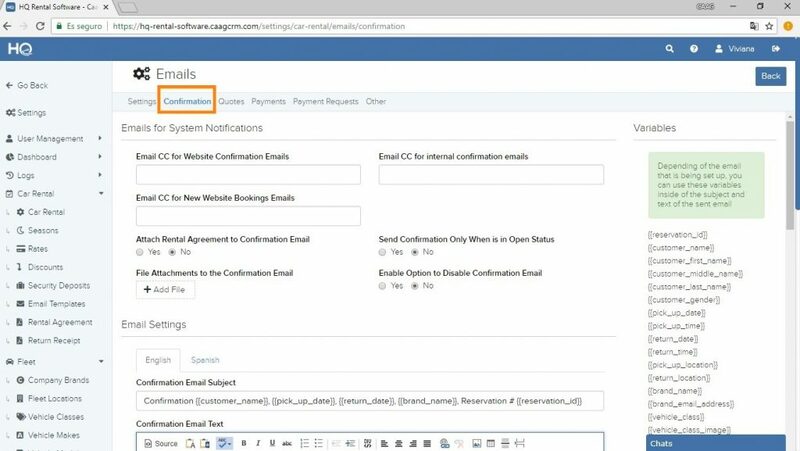 The next step is to activate the setting by clicking on the “Yes” option below the “Attach Rental Agreement to Confirmation Email” heading as highlighted in orange in the picture below. After you are done, be sure to scroll down to the bottom and click on the blue “Save” button highlighted in orange in the picture below. To learn more about rental agreements, click on this link here. 11.3 How to add terms and conditions to the Rental Agreement?